Old, broken, left behind. 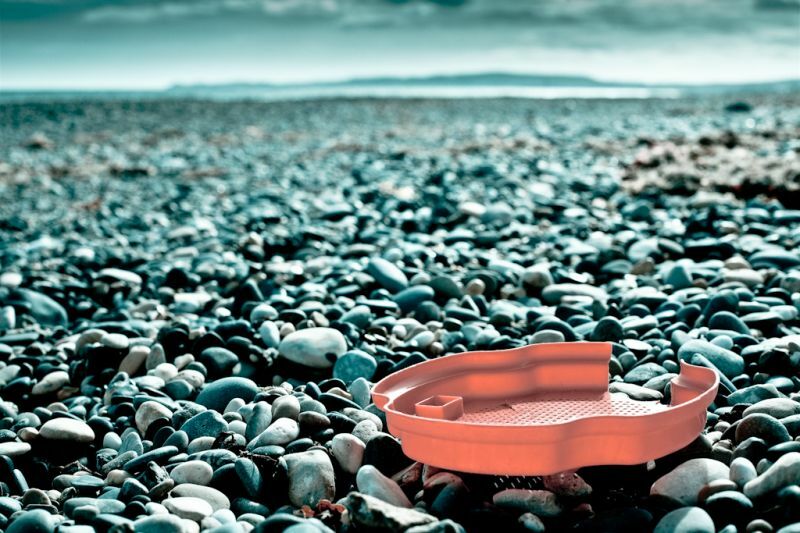 Part of a child’s toy discarded on the beach. Making sandcastles out of rocks does that to plastic toys.